In Sunday’s 48-40 upset, the Bucs defied conventional wisdom and let the ball fly, allowing Fitzmagic to flourish once more. They did it. They really did it. Your Tampa Bay Buccaneers pulled off the biggest shocker of Week 1 in the NFL, upsetting the heavily favored Saints 48-40 on Sunday in New Orleans. Ryan Fitzpatrick, the quarterback without a home, dominated at the Superdome. He didn’t just play well enough to win. He played the game of his life. The Saints could not stop him as he led the Bucs up and down the field at will. 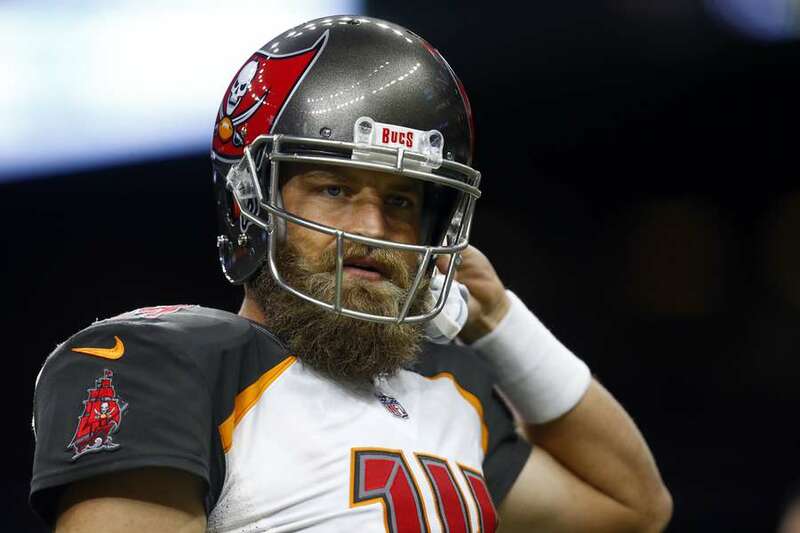 Starting in place of the suspended Jameis Winston, the 35-year-old Fitzpatrick threw for a career-high 417 yards and scored five total touchdowns. What in the name of Craig Erickson happened? The Bucs stopped being the Bucs. They played to win, not to not lose. They played aggressively early rather than desperately late. They took the fight to the Saints, rather than the other way around. In this week’s Turning Point, we examine the strategy behind the mentality. What happened: We witnessed more than a game Sunday. We witnessed a damning repudiation of traditional football thinking. Before the game, there was more talk of what the Bucs couldn’t do than what they could do. The quarterback couldn’t throw deep. The defense couldn’t stop Drew Brees. They couldn’t win a shootout. Couldn’t, couldn’t, couldn’t. So, the thinking went, they needed to rely on their run game and keep Brees and the Saints off the field. The Bucs didn’t get the memo. Or they got it and scoffed at it. In offensive coordinator Todd Monken’s play-calling debut, the Bucs looked markedly different from the Bucs of seasons past. They came out firing, right from their very first series, and they didn’t let up until the game was in hand. The team that has for years preached the value of establishing the run established the pass. What changed: There’s more to play-calling than the design of the play. Often, it’s a matter of timing. In the past, the Bucs have favored the run on first down. Since coach Dirk Koetter joined the team in 2015, Tampa Bay has run in first-and-10 situations almost 60 percent of the time, the third-highest rate in the NFL (excluding fourth quarter calls, which often are dictated by score). Why is that important? First and 10 is one of the few situations in which a defense must account for both a run and a pass, making it more vulnerable to a pass. As a result, teams average more yards per pass on first down than any other down. On Sunday, the Bucs flipped the script. In first-and-10 situations (again, excluding the fourth quarter), they called more passes than runs. If you count his two scrambles — which were not designed runs — Fitzpatrick dropped back to pass 14 times. He handed the ball off eight times. This is where Fitzpatrick did most of his damage, completing 11 of 12 passes for 203 yards and a touchdown for a passer rating of 146.5. Eight of those passes resulted in either a touchdown or another first down. Fitzpatrick’s 58-yard touchdown pass to DeSean Jackson five minutes into the first quarter was a stunner. But that was merely a message, the spark that lit the match. The opening sequence of the third quarter was a delivery on a promise: We are going to burn your defense to the ground. Fitzpatrick started the drive with — what else? — a pass to Mike Evans for 10 yards. After a roughing-the-passer penalty vaulted the Bucs into Saints territory, Tampa Bay stayed on the attack. Fitzpatrick took another shot downfield, hitting Evans on a deep post route for a 32-yard gain, the third of what would be six pass plays of at least 30 yards. The Bucs had 18 all of last season. The Bucs failed to punch the ball into the end zone, but Chandler Catanzaro’s field goal not only gave them their first double-digit lead but also shifted the dynamic of the game. Tampa Bay and New Orleans were no longer trading blows. The Bucs had forced the Saints to play catch-up, and when a team is forced to play catch up, it becomes one-dimensional and predictable, something Tampa Bay knows all too well. In the second half, New Orleans threw 24 passes and ran only twice. What it means: When something isn’t working, “you can’t beat your head against the wall,” Koetter said during training camp. Turns out, he meant it. On Sunday, the Bucs looked like a modern NFL offense, and as the game wore on, they looked more and more confident. Yes, it’s one game in September. It’s also a significant step forward for a team that has long lacked any real identity. Koetter has been reluctant to relinquish play-calling, but his gameplan Sunday demonstrated something much more important than Xs and Os. It demonstrated faith. Faith in Monken, faith in Fitzpatrick, faith in a much-maligned offensive line. If the coach believes, the team will, too. As for the Bucs’ identity, they looked fearless against the Saints. Think you could get used to that? • What an odd exchange after the game during Koetter’s news conference when he was asked who called the plays. The Fox broadcast had reported that Monken called the plays, yet Koetter was evasive and never gave a direct answer. No one was asking him to unveil the secrets of the universe. It was an opportunity for him to put his guy over, but instead he sparred with a reporter. If he willingly gave up play-calling, why would he do that? • Can the Bucs offense maintain its explosiveness against the defending Super Bowl champion Eagles on Sunday? The Saints didn’t generate much of a pass rush, recording only two (legal) quarterback hits and no sacks. • With a win already in hand and the Eagles and Steelers looking shaky in their openers, suddenly the Bucs’ early-season schedule doesn’t seem so daunting. 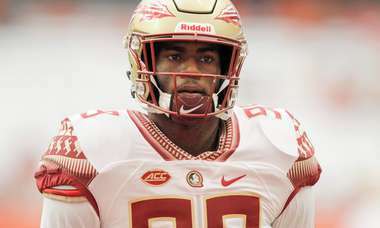 • Ronald Jones II was inactive against the Saints, with the Bucs preferring to have extra depth at defensive back instead of running back. Even so, it’s troubling development for a player in which the team invested an early second-round draft pick. • When will we see Brent Grimes again? The 35-year-old cornerback, who didn’t play during the preseason, didn’t travel to New Orleans because of a groin injury, and the Bucs secondary suffered. Brees completed 82 percent of his passes and averaged almost 10 yards per attempt. • Chris Godwin was outstanding even though he saw only four targets. Among his highlights: fully extending to make a 16-yard catch on the Bucs’ second drive and hauling in a touchdown pass in the second quarter.